We all need mid-week wines that deliver interesting flavor without spending a lot of money. The problem is that many widely available wines under $10 are just not that exciting. So I often look for less popular varieties from countries like Spain and Portugal for my “Tuesday-Thursday” wines. But there is a lot of good wine on the California bulk market these days so sometimes the big-box retailers like Costco and Sam’s Club have some values. And depending on where you live, you don’t even need a club membership to buy these wines; at least, that’s the law here in Minnesota. I usually shop at Costco so I picked up this store brand Merlot a few weeks back for $8.99. Alexander Valley produces a number of nice Merlot and Cabernet-based wines so I thought this was worth a flyer. Worst case, I have some wine to cook with. Costco used to be the domain of Cameron Hughes but over the past couple of years I’ve noticed his wines mostly available at Sam’s Club. As his selections sold through at Costco, the store brand Kirkland seemed to replace those wines along with the normal selection of well chosen wines at very good prices. In fact, Costco might just be the best place to find wine values in the $25-60 range. And based on this selection, they might have the under $10 market covered, too. 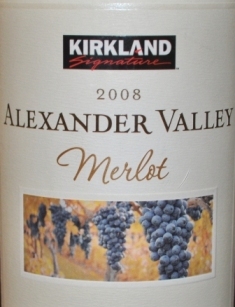 Kirkland Signature, Merlot, Alexander Valley 2008 ($9) – Garnet color with aromas of blackcurrant, black cherry, black licorice and cedar. Rich black cherry fruit flavors with blackcurrant, black pepper and mint finishing with moderate tannins. Drink over the next year or two. 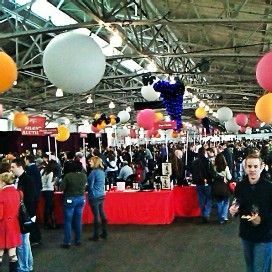 As I’ve blogged here before, Zinfandel is the first variety that truly spoke to me and put me on the road to the wine geek I am today. And I can recall that the bottle that flipped the switch was an estate Zin from the Lytton Springs Winery from the late 1970’s. This wine was an old vine field blend led by Zinfandel but also inter-planted with Petite Sirah, Carignane, Mataro and Grenache. Today this vineyard produces the Ridge Lytton Springs Zinfandel I’ve reviewed here in the past. Down the road a piece, across the one-lane Lambert bridge, is another winery who makes fine Zinfandel; Quivira. I’ve driven past this winery on my rounds in Dry Creek for work but have never stopped in for a tasting. I think the next time I’m in the area, just a day away, I might make this trip on the strength of their entry level bottling reviewed here. Quivira is committed to biodynamic farming and no matter how you come down on this practice the wine here demonstrates that good things come from non-intervention. While I might be skeptical of the mystical elements of the biodynamic way, I am totally behind the stewardship of the land key to its practice. Quivira Vineyards and Winery, Zinfandel, Dry Creek Valley 2008 – ($20/sample) – Dark purple color with aromas of bramble, sage, fennel and tobacco. Plush plum and raspberry flavors with black pepper and mint finishing with moderate tannins and good acidity for a Zin. Textbook Dry Creek Zin at a great price. Every time I visit Northern California’s wine country, I discover a new producer who surprises me. Early on my current trip, while based in Sonoma County, I enjoyed an outstanding Pinot Noir from Inman Family. The winery concentrates on small-lot production of Chardonnay, Pinot Gris and Pinot Noir from the Russian River Valley. Founded by Kathleen and Simon Inman, both leaving careers in finance and law in the UK to follow their passion for wine, relocated to Sonoma County in 2000. After this first experience with Inman Family I am looking forward to tasting their other wines ASAP. Inman Family, Pinot Noir, Thorn Ridge Ranch, Russian River Valley 2007 ($52) – Dark ruby in color with aromas of black raspberry, sage, bay and wet earth. Rich and pure black raspberry fruit on the attack with cocoa and black tea. Very nice acidity and fine tannins finishing very long. A pretty Pinot that will improve with a year or two in the cellar. You never know where the next emerging wine State will be here in the U.S. but if this wine is representative of the wines coming out of Kentucky these days, this might be the place. Given as a gift from the parents of a friend of my son visiting over the holiday break, the wine is a blend of Spanish and French varieties grown near Lexington, Kentucky. Since the winery also makes Petite Sirah and Zinfandel, Eastern Kentucky must have a more extended growing season than other States in the region. Indeed, the most surprising thing for me about this wine was how big it is, both in fruit concentration and in alcohol. There’s not a lot written about Jean Farris winery aside from their website and a few other blogger notes (I think I’m the first to review Tempest). But I think you will hear more from this winery given the quality of the wine here. The rather unconventional blend of Tempranillo works well with Cabernet Sauvignon and Cabernet Franc. I hope to have the chance to sample some of their other wines soon. 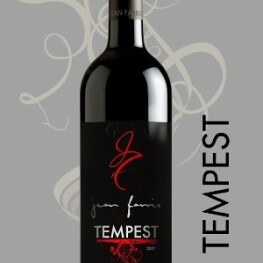 Jean Farris Winery, “Tempest”, Red Wine, Kentucky 2007 ($35) – A blend of Tempranillo, Cabernet Sauvignon, and Cabernet Franc. Garnet in color with aromas of blackberry, blackcurrant, sage and cedar. Bold blackberry fruit with cassis, white pepper and vanilla finishing with moderate tannins, nice acidity and just a hint of heat. Shows that world class wine can be made in the land of Bourbon.